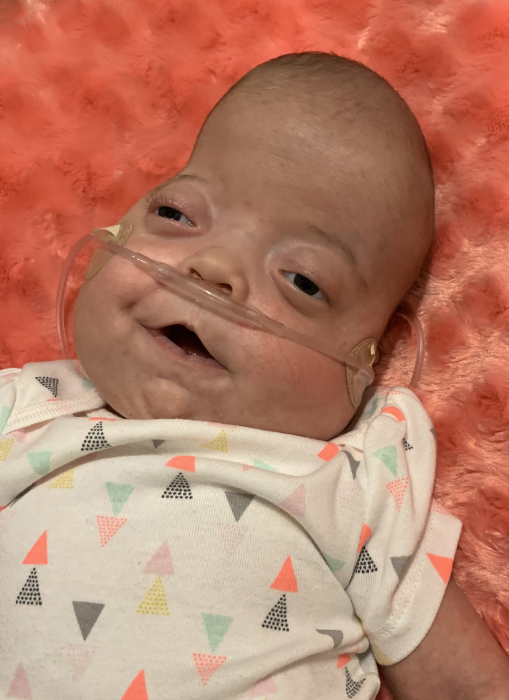 Rock Valley, IA: Emery Lynn Kooima, age 2 months, 25 days, passed away Sunday, February 3, 2019, at Hegg Health Center in Rock Valley. Funeral services will be held Wednesday, February 6, at 10:30 AM at First Christian Reformed Church of Rock Valley with Rev. Matthew Haan officiating. Burial will follow at Valley View Cemetery of Rock Valley. Visitation, with the family present, will be held Tuesday, February 5, from 5:30-7:00 PM at Porter Funeral Home of Rock Valley. Condolences may be left for the family at www.porterfuneralhomes.com. Emery Lynn Kooima, daughter of Darin and Megan (Iedema) Kooima, was born November 9, 2018 at Sioux Falls, South Dakota. After birth, Emmy spent 32 days in the NICU and later another 10 days in the PICU. It was here that family members and nurses noticed her feisty attitude and there was no doubt that Emmy was strong and a fighter. Emmy found comfort when she could be at home. She enjoyed cuddling and loved being around her family. Seeing her beautiful smile gave joy to those around her. She will be forever cherished and always remembered. Emmy is survived by her parents, Darin and Megan Kooima; sister, Kenzie Kooima; brother, Easton Kooima; paternal grandparents, Joel and Faye Kooima; maternal grandparents, Bob and Jan Iedema; great-grandmothers, Irene Strouth and Florence Brunsting; uncles; aunts; and several cousins. She was preceded in death by her great-grandparents, Elmer and Elsie Kooima, Ray Brunsting, Bernard and Ella Iedema, and James Strouth; and an uncle, Shaun Iedema.